Country music stars Dustin Lynch, Kip Moore, and Luke Combs join previously announced headliners Florida Georgia Line, Miranda Lambert, Brantley Gilbert and Brett Eldredge. They’ll all be joined by Brett Young, Josh Turner, Walker Hayes, Lauren Alaina, Carly Pearce, Devin Dawson, Tucker Beathard, Jimmie Allen and Sasha McVeigh. Lynch is the owner of five No. 1 singles, including his latest “Small Town Boy” in 2017. All four of his singles released prior also reached No. 1, including the Platinum smash hit “Where It’s At (Yep, Yep).” He released his latest album, “Current Mood,” in September and saw it reach the No. 2 spot on the U.S. Country Albums Chart. Moore burst onto the scene in 2011 with his hit, “Somethin’ ‘Bout a Truck,” which was certified two times Platinum and topped the U.S. Country chart. He followed up with six top 40 singles, including his 2017 release of “More Girls Like You” that was certified Gold. Combs is one of the hottest names in country music. His debut album, “This One’s for You,” climbed to the top spot of the U.S. Country Albums Chart last summer. His first two singles off the record, “Hurricane” and “When It Rains It Pours,” also topped the radio charts. “Hurricane” was certified Platinum in the U.S. and Canada. All of us at 99.9 KEKB are stoked to see our listeners at another great Country Jam! All tickets and campsites are on sale so click here to get yours if you haven’t already. 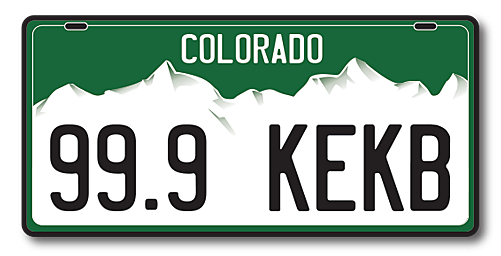 99.9 KEKB is your ultimate source for what’s happening at #CountryJamCO so be sure to follow us on-air, on our website and our social media channels for the latest news, ticket giveaways and much more.